It’s time to get dressed, but Rudy is gone in a flash—Mom can’t even get a towel around him. Boing! Around the living room he goes! Whoosh! Under the table—catch that baby! Scoot! Where’s he now? Nancy Coffelt and Scott Nash bring us a hilarious share-aloud adventure full of puns and clever wordplay that celebrate a baby’s au naturel antics. 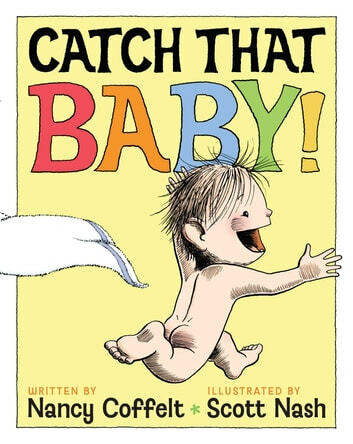 Books related to Catch That Baby!